Johnson impresses Alonso with F1 test debut. Fernando Alonso was impressed by Jimmie Johnson’s performance on his first time in a single-seater when he tested a McLaren Formula 1 car in Bahrain. The two champions swapped cars during the event on Monday, with Alonso driving a NASCAR Cup car for the first time, while Johnson got behind the wheel of a 2013 McLaren MP4-28. After training laps in a McLaren road car, Johnson then shook down the No. 48 Hendrick Motorsports machine, posting a 2m14s lap time. Although Alonso wasn’t scheduled to drive the F1 car — having only started his final grand prix on Sunday in Abu Dhabi — he then completed a flying lap and set a 1m40.204s for Johnson to try and better. After an initial delay when Johnson’s helmet was lifting while in the F1 car, both got down to carrying out five-lap runs, with Johnson eventually posting a best lap just 0.2s off Alonso’s time, something the two-time F1 champion described as impressive. “I think he was really gaining time every run he was going out,” Alonso said. “Sometimes you put new tires on these cars for the very first time and you are not able to extract the grip because you miss the braking point a little bit here and there and maybe you don’t maximize the grip available, but he was able to guess this extra grip that the new tires is giving to you, and extract that grip into lap time so I was very impressed with that. “He had fun. He took the test very seriously, as I did — probably I was a little bit busier in the last two to three weeks and especially the weekend in Abu Dhabi, but I think both came here with the intention of having fun, yes, swapping the cars, yes, but not a normal swap like we saw in other occasions when it was swapping cars, doing a photograph and have one run and that was it. Johnson admitted the performance of the F1 car exceeded his expectations despite having time to prepare on the McLaren simulator at the team’s factory last week. “It was mind blowing,” Johnson said. “The sensation of speed… Clearly the speed is so high. The simulator was a really nice experience, a great visual aid, but to have the wind moving by and the sensation of speed and the G-forces, it takes a little while to absorb that and have the newness of that go away and focus on what you’re doing. On getting so close to Alonso’s time, Johnson says the whole day showed him how talented the Spaniard is behind the wheel of any car. “He had that same opportunity in my car to look at that data and go after it. I honestly think at the end of the day I got a way better swap experience than he did. If we could come for a day or two and get our gearing dialed in and do some suspension changes, with the proper tire, the car could have been quite a bit faster. Alonso admitted the NASCAR was tricky to get to grips with, despite bettering Johnson’s one lap time by setting a 2m10.830s in the No. 48 Chevrolet. “I think I was very far away from a very good lap,” Alonso admitted. “Driving style, it was still not very clear to me what is the best way to perform a lap. I found a lot of problem on braking; the car has very poor retardation because of the weight of the car and the steel brakes behave very differently compared to the ones I am used to. “And traction, these tires with the amount of power that those cars have, it is very difficult to manage so in first gear, second gear, third gear you are still spinning the tires, and I didn’t know if it was better to go full throttle and spin the tires and really move forward or control with the throttle and maybe lose a little bit of performance on exit. The pair signed off with filming duties in each other’s cars before performing donuts on the pit straight at the Bahrain International Circuit. Craig Lowndes says he feels ‘numb’ after bringing his career as a full-time Supercars driver to a close in Newcastle this evening. 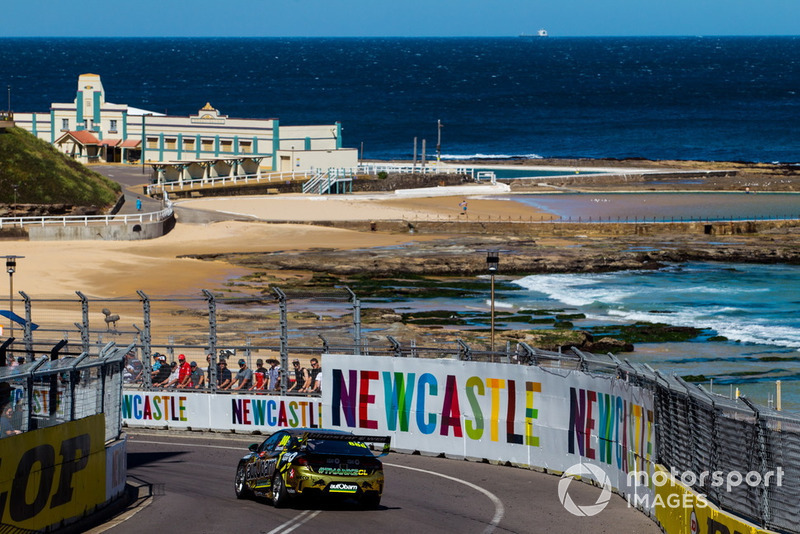 The veteran superstar made his final start as a series regular ahead of his new role as a dedicated Triple Eight enduro driver from 2019 onwards, his career as a full-timer yielding 107 race wins including seven Bathurst 1000 crowns. There were a number of special tributes to Lowndes throughout the day, headlined by a guard of honour that stretched the length of pitlane in the build-up to the race. While acknowledging that it was a special day, Lowndes said he feels ‘numb’ at the end of it all, and admitted that it’s something that will be easier to reflect on in the future. “It still hasn’t sunk in, to be honest,” he said. “No doubt over the next couple of days it will come to realisation. “[Race engineer John McGregor] made a comment going into the last lap to enjoy it for what it is. And I did. I could see the crowd waving and cheering on. “[The guard of honour] was really nice. We all have a lot of respect for each other. To see the whole of pitlane come out on the apron to show respect, I’ll always remember that. “To bow out of the sport on a high, and to really share the moment with everyone, to do that lap in the Commodore out of the sunroof – I haven’t heard a crowd cheer that hard in my life – that was really special. “To be able to sit back in years to come and see how that all unfolded, I think the memories will be more special going into the future than right now. Something Lowndes did take some more immediate enjoyment from was his post-race burnout, although he admitted he had to be mindful of the hardware given the Bathurst-winning ZB Commodore has already been sold to collector and racer Scott Taylor. Lowndes finished his full-time career with an 11th place, spending part of the final stint in the lead before making a late stop in the hopes of a caution that might help him cut through the field. In 1996, Tony Stewart made his debut at the Indianapolis Motor Speedway. He put the car on the pole position for the famed Indy 500. Stewart went on to finish 24th that day. In total, Stewart has run five Indianapolis 500 races in his home state. He best finish came in 1997 where he finished 5th. Soon after, Stewart moved to fender sporting stock cars. It’s now been 17 years since Tony Stewart ran the Indianapolis 500. “The pageantry around the Indy 500 is unlike anything you see in NASCAR. It’s just history and tradition that makes the Indy 500 what it is,” Tony Stewart explained to NBC Sports. With 618 NASCAR Cup Series races under his belt, 49 wins and 3 series championship, Tony Stewart parted ways with the cockpit of a stock car. He’s still very active behind the wheel. Stewart installed some tear offs on his helmet and returned to the dirt tracks. Is there any chance you’ll run the 2019 Indy 500? “Not this coming year. 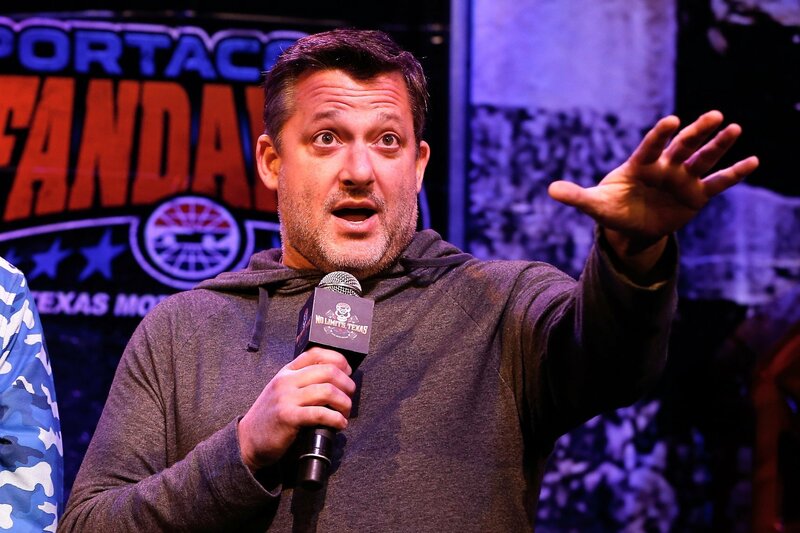 I did what I normally do — I let my mouth open before I actually thought about what I was saying,” Tony Stewart explained. Stewart stated he would want to run one Indycar race on an oval in 2019 before possibly heading to the Indy 500 in 2020. So what other 2019 Indycar oval races exist? The Indycar oval list: Texas Motor Speedway (June), Iowa Speedway (July), Pocono Raceway (August), Gateway Motorsports Park (August). 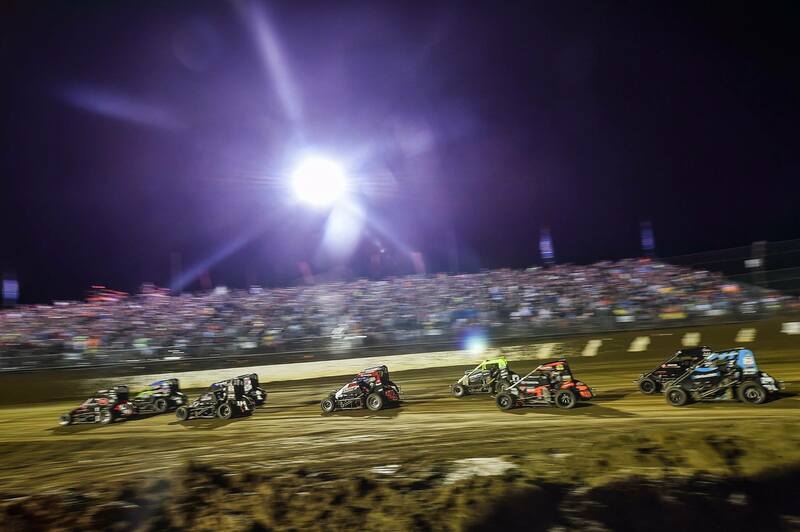 What do you think about the dirt track at Indianapolis? The World 100 is a huge dirt late model race hosted at Eldora Speedway. Ironically, it also suffered a postponement due to rain. After getting just one of the three nights in, the race has been rescheduled for October. With the start of a new season of the ABB FIA Formula E championship less than a month away motorsport’s governing body, the FIA has confirmed the full-season entry list ahead of the season opener in Saudia Arabia on December 15. This year’s expanded 11-team entry list will see 22 of the world’s top driving talents take to the grid, with the first round kicking off with the 2018 SAUDIA Ad Diriyah E-Prix – click here to purchase tickets. All four former champions return to test their mettle in the new FIA Formula E Gen2 car, with Jean-Eric Vergne hoping to become the first back-to-back champion in the history of the series with DS Techeetah. Six fresh faces will be facing their first Formula E race in less than a month, with Stoffel Vandoorne and Gary Paffett representing newcomers HWA Racelab, Max Guenther lining up for Geox Dragon, Felipe Massa for the Venturi Formula E Team, Alexander Albon for Nissan e.dams and Alexander Sims for BMW i Andretti Motorsport. Several other top talents are returning to the championship for the upcoming campaign having raced in Formula E before but not contested the full fourth season – these include Robin Frijns for Envision Virgin Racing, Tom Dillmann for the NIO Formula E Team. Felix Rosenqvist returns to the Championship, taking the place of new Mahindra rookie driver Pascal Wehrlein for the first round of the season. See below for the full entry list. With a new car, new racing format and plenty of fresh faces, the fifth season of the ABB FIA Formula E Championship is set to be the most exciting and unpredictable to date. Buckle up, we’re just getting started. Signing Pietro Fittipaldi will help the Haas Formula 1 team address a weakness with its simulator use, reckons the team’s race driver Romain Grosjean. Fittipaldi, grandson of two-time world champion Emerson, has been named Haas’s 2019 reserve driver and make his F1 test debut in Abu Dhabi this month as part of his new role. The 2017 Formula V8 3.5 champion has had a disrupted season across multiple categories – the World Endurance Championship, IndyCar and Super Formula – after breaking his leg earlier this year. “We need some help in the team, especially on the simulator side,” said Grosjean. “It will be good to have him, he will have a taste of the car in Abu Dhabi and he can jump in the simulator and work on the correlation, when we get it, it is nice and ready to go. “We are still working on plans and making sure we get better [at simulation]. The correlation is the trickiest part to get right and the one you need to get right before you do any set-up work. Haas was in talks with Fittipaldi over testing opportunities prior to his leg-breaking shunt at Spa ahead of the WEC season opener earlier this year. Team principal Gunther Steiner explained that those talks morphed into discussions over a proper roleonce Haas established Fittipaldi could help boost its sim efforts. “We talked again and decided to use him next year for testing and simulator development because they need to get better,” said Steiner. Fittipaldi’s opportunity was described as a “genuine test role” by Steiner. It follows a now-standard development driver model among F1 teams, which has been specifically credited by the likes of Ferrari for turnarounds in form from Friday practice to Saturday this season. Hamlin played spoiler in the final round of qualifying, jumping the title contenders and taking pole for the third time in the last four seasons. But after winning the pole with teammate and Championship 4 driver Kyle Busch alongside, there were immediate discussions regarding the possibility he would give up the No. 1 pit stall. “That’s probably too far, but it would sure be nice,” said Busch of such a possibility. “I agree it’s way too far,” chimed in Martin Truex Jr., who found himself in a similar position as Busch in 2017. In fact, the reigning series champions asked Hamlin if he would give them the No. 1 stall last year, which they declined to do. When Hamlin entered the Media Center, he was asked that very same question. Would he give it up for the sake of JGR’s title hopes? “I mean, there’s thoughts. The 78 was in the same position last year, asked us — we declined. I mean, to be honest with you, my pit crew is a second slower than Kyle’s. I think everything is earned. Nothing is given,” said Hamlin. Well, the discussion was had and a decision was made. Saturday morning, the No. 11 team opted to take the No. 4 pit stall, which has an opening ahead and Team Penske’s Ryan Blaney behind. It’s also worth noting that Truex won the 2017 championship from that very same pit box. But Hamlin’s choosing the fourth stall allowed Busch to claim the No. 1 stall and gain an advantage over the other three title contenders. Should there be a late-race pit stop, that stall could prove to be pivotal in who takes the 2018 championship. But despite the controversial decision, Hamlin’s desire to win Sunday’s race can’t be questioned. The champion has won the race at Homestead every year of the elimination era, dating back to 2014. That’s something Hamlin wants to change Sunday night as he faces the longest winless streak of his career. Truex, who qualified third, chose stall No. 7 which will place Ross Chastain ahead and Tanner Berryhill behind. Joey Logano chose stall No. 3 with Timmy Hill ahead and an opening behind. Kevin Harvick, who qualified down in 12th, went with stall No. 39 with J.J. Yeley ahead and David Ragan behind. Take s listen to some interesting facts about our CEO Tom Giertz in his interview by Mark Greene from carsyeah.com podcast. To assemble a collection of cars is not unique. If a collector wants to stand out, the collection is going to have to have a certain—something. The White Collection has that one thing that makes it stand out from other Porsche collections: only one paint color—white. The carefully curated collection was highlighted in a video from the Porsche Club of America in which Carl Bauer, caretaker of the collection, discusses the finer points of the artfully assembled group. Each detail of the display is taken into account, as if it were the order sheet for a new 911. The arrangement of the cars, signage, even furniture, appear to all be carefully located in a way only a true perfectionist can understand. At the core of the collection sit three Porsche pinnacle models. A 959, Carrera GT, and 918 Spyder sit in the center, surrounded by a row of 911 RS and GT3 RS models. That’s just the tip of this veritable iceberg. In addition to the cars is a library full of Porsche manual, technical drawings, and advertising literature. There are even Porsche bicycles on display. Grab a snack and prepare to be overwhelmed by the pure-white Porsche bliss. It might just take a moment for your eyes to adjust to the insanity. An all-new, female-only racing series has been created with intentions of giving women a widespread platform to prove themselves and move up to motorsport’s top levels. Named the W Series, this project was conceptualized and resultantly developed by a group of racing professionals including ex-Formula 1 driver David Coulthard, F1 designer Adrian Newey, former McLaren and Manor team manager Dave Ryan, and journalist Matt Bishop. The open-wheel league will be free to enter for 18-20 yet unnamed drivers selected by “a rigorous pre-selection process involving on-track testing, simulator appraisal, technical engineering tests, fitness trials etc,” according to a statement from the series. Competitors will be vying for their share of a money pool totaling $1.5 million while the overall champion will earn $500,000. Winnings will be awarded through 18th place in the standings. Drivers will pilot spec Tatuus T-318 Formula 3 cars, all equipped with identical 1.8-liter turbo four-cylinder engines and Sadev six-speed sequential gearboxes. These machines will also be fitted with Halo cockpit safety devices. The initial season of competition will take place across Europe with expansion to the Americas, Asia, and Australia planned for the coming years.